SAN ANTONIO — As the 2018 election cycle nears, it appears Texas and its legal foes are headed for a trial — yet again — over what the state’s House and congressional boundaries will look like, and it will likely come this summer. That time crunch factored heavily into the discussions Thursday. Texas is an old hand at being scolded by courts when it comes to redistricting, the once-per-decade process of rejiggering political boundaries to address changing populations. In every redistricting cycle since 1970, one or more federal courts — the Supreme Court included — have ruled the state's maps violated the U.S. Voting Rights Act or constitution. Aside from the implications for voting rights, the near-constant litigation has likely affected political races in other ways. Those on all sides of the latest dispute likely want to avoid the confusion of 2012 — the year U.S. Sen. Ted Cruz scored an upset win over then-Lt. Gov. David Dewhurst in the Republican primary — when Texas was forced to delay those races. 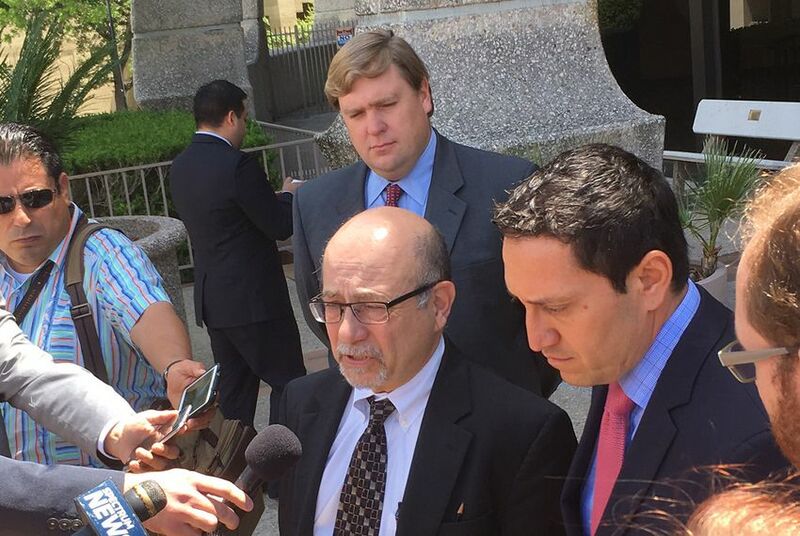 “Some voters blame Mr. Dewhurst’s loss on the compactness of those schedules,” Garza told the judges. Thursday’s hearing followed two long-awaited rulings this spring. In 2-1 ruling last week, the judges found the 2011 Texas Legislature intentionally diluted the clout of minority voters statewide — particularly in House districts encompassing El Paso, Bexar, Nueces, Harris, Dallas and Bell counties. In March, the panel ruled lawmakers also knowingly discriminated in drawing the state's congressional map and flagged particular violations in specific districts, including CD-23, represented by Will Hurd, R-Helotes; CD-27, represented by Blake Farenthold, R-Corpus Christi; and CD-35, represented by Lloyd Doggett, D-Austin. They are two of three federal rulings this spring that, if they withstand appeals, could land Texas — which has a well-documented history of racial discrimination in elections — back on a list of states needing federal supervision to change election laws. A Corpus Christi judge ruled this month that the 2011 Legislature purposefully burdened Latino and black voters by passing a strict voter identification law. But neither of the recent rulings required immediate fixes because the state has been operating under maps temporarily drawn by the court amid an election scramble and approved by the 2013 Legislature. Thursday’s hearing at the federal courthouse dealt with a more immediate question: Which maps will Texas use in fast-approaching 2018? Lawyers for Texas argued that the 2013 maps should survive because they received court approval and because they could not have been drawn with the intent to discriminate that the judges identified in the 2011 boundaries. Relying on the court's own judgment is “the best legal advice anyone can get,” Matthew Frederick, of Texas Attorney General Ken Paxton's office, suggested to the judges. The state’s legal opponents argue that the lawmakers’ swift adoption of the temporary 2013 maps should not insulate them from the 2011 discrimination that may have carried over. On the 2013 congressional map, for instance, the boundaries of two districts — Farenthold’s 27th and Doggett’s 35th — are identical to those flagged as discriminatory in 2011. And some 2011 House districts flagged by the judges as problematic — including parts of Dallas, Tarrant, Bell and Nueces Counties — are identical on the 2013 map. “The court was constrained” by coming elections in approving the most recent map, Garza told the judges. Though the 2017 Texas Legislature, controlled by Republicans, could take a stab at drawing a new set of maps that plaintiffs could live with, it has instead looked solely to the courts as its biennial session winds down. The House Committee on Redistricting, for instance, has not met since 2013 — despite calls from Democrats on the panel to discuss the March ruling and hold hearings on seven redistricting-related bills that have been referred to the committee. “The recent court rulings concern legislative districts that were repealed in 2013. The court has not required the Legislature to consider changes to the redistricting plans that are currently in use,” Jason Embry, a spokesman for House Speaker Joe Straus, said in a statement this week. Civil rights groups and Democrats challenging the maps expressed frustration with what they see as foot-dragging from the state — particularly as the 2020 census approaches, when lawmakers will again adjust the boundaries using the latest U.S. Census data.